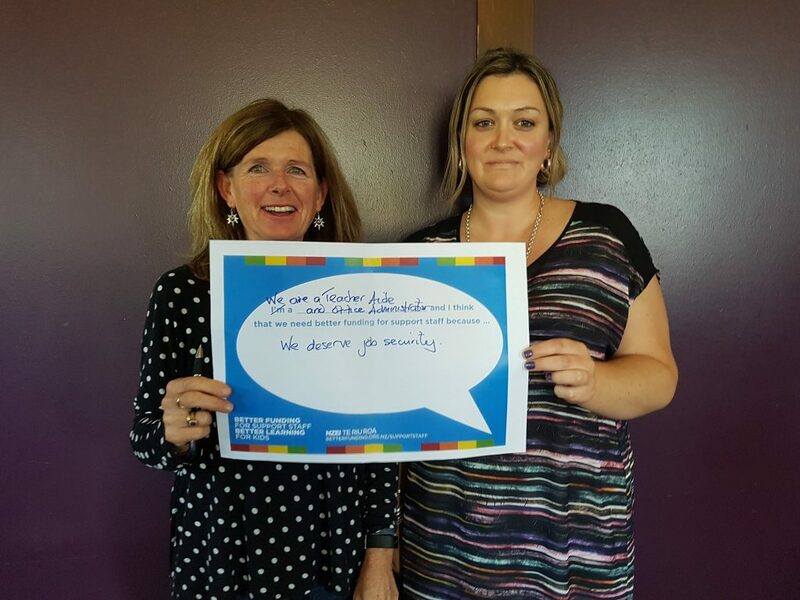 For Support Staff Day 2017, we asked the community to send in 101 reasons why support staff are so important to their schools and centres. We were absolutely inundated with responses! We always go that extra mile. 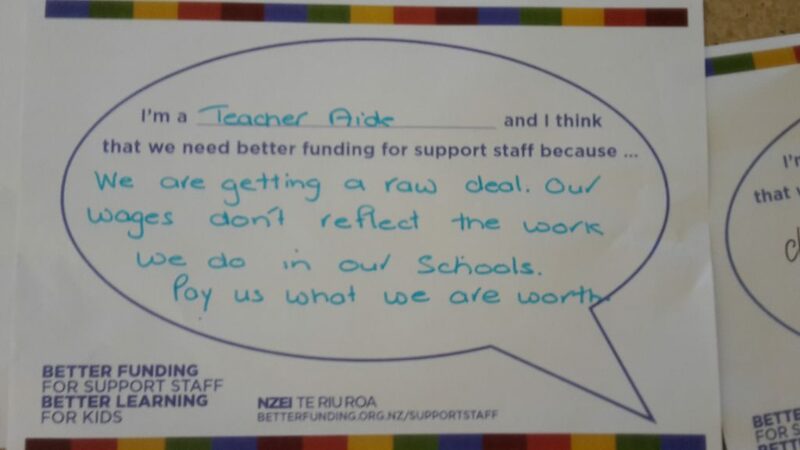 Schools would struggle to function without support staff. We should be paid for what we are worth. Not what the schools can afford. We are experienced skilled workers who have student’s best interest at heart. We deserve to be recognised not only for what we do for our school but what we do for the children that we help support. We are getting a raw deal. 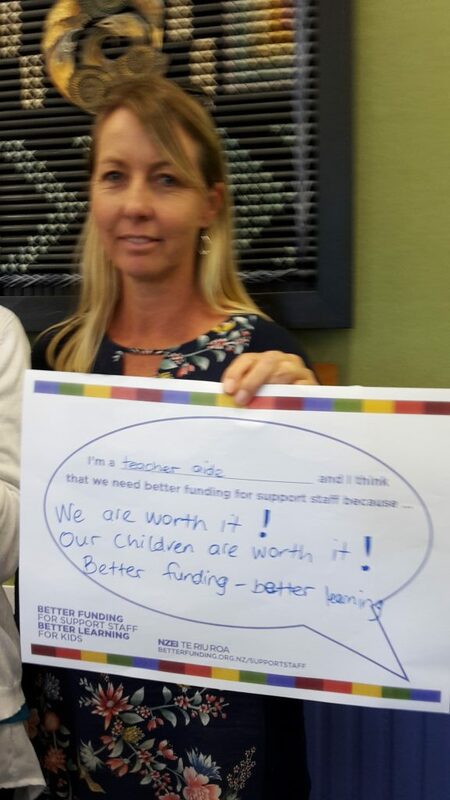 Our wages don’t reflect the work we do in our schools. Pay us what we are worth. Our children are worth it! 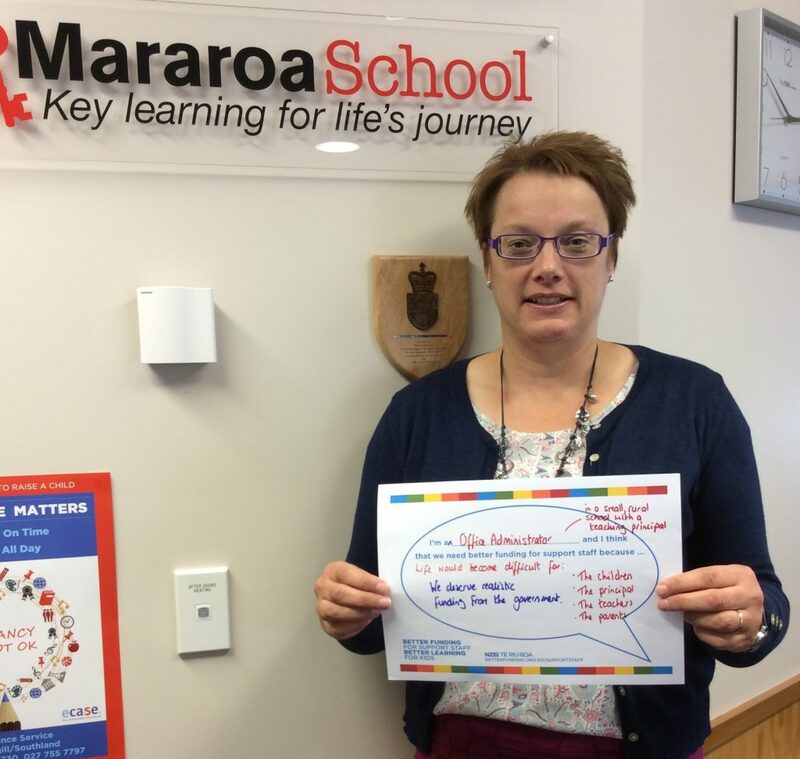 I am a Pomaria teacher ( from Auckland) in the Whanau Unit and I think that we need better funding for support staff because….They help teachers in a BIG WAY and they play a big part to help our learners achieve their goals and RAISE LEVELS in all curriculum areas. 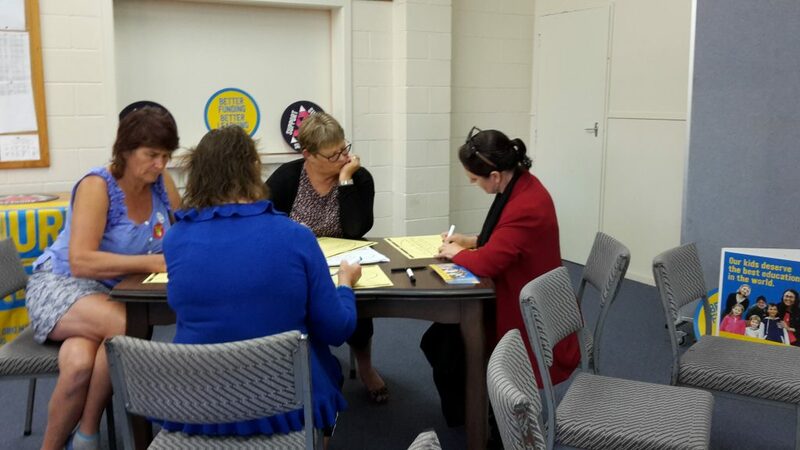 We individually can spend up to 28 hours per week with students – this is more contact hours than teachers. We are mentors, confidantes, friends, medical helpers – We do our job because we make a difference ! They are an essential (and currently undervalued) resource who play a crucial role in supporting students of the highest need. To attract and keep the right expertise support staff need to be valued, supported and better funded. We need them. We value them. 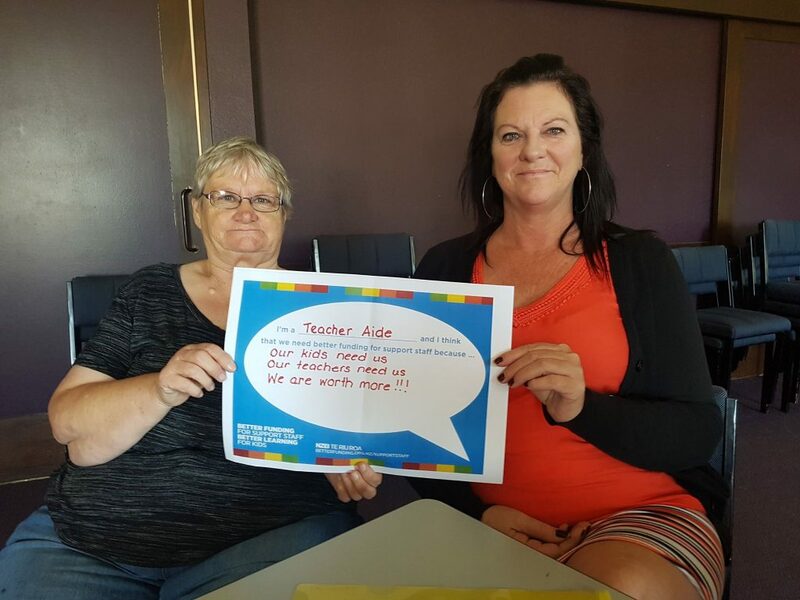 They are essential to the education of our students with special needs. Because without them, our schools just wouldn’t function. 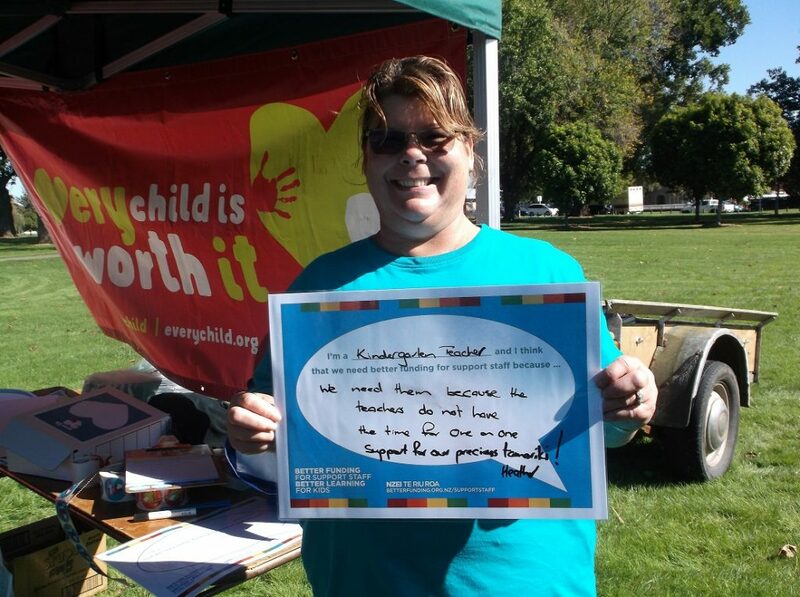 Our children NEED support. 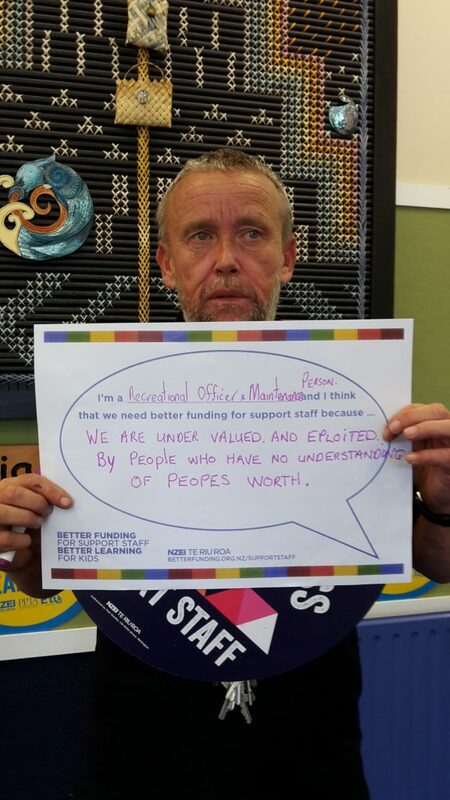 I am a Board of Trustees Member and I think that we need better funding for support staff because…. conservative governments have repeated countlessly on the importance of education. 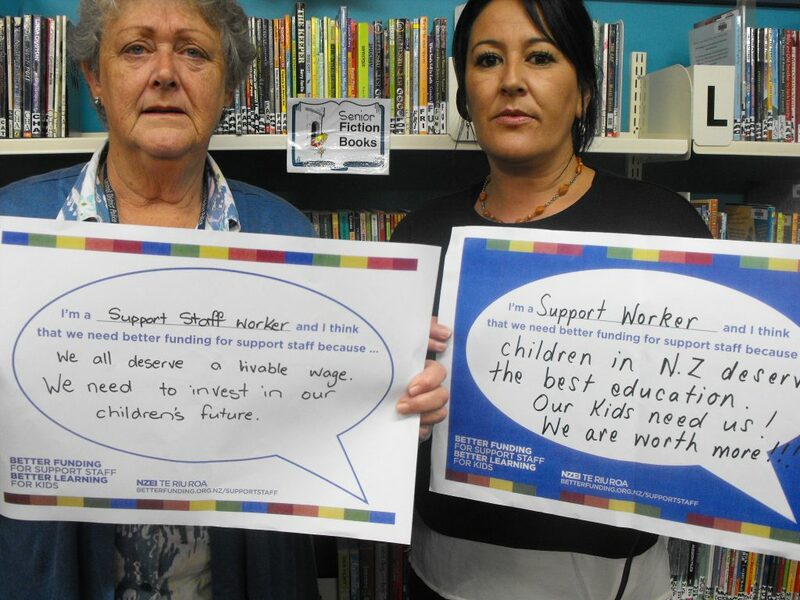 If education is the key to an enlightened nation any cut to any segment of the education sector (support staff) will only lead to many of the dreams and aspirations of parents, caregivers, whanau and more important our students of today. The vital rule the support staff play should not be undervalued. 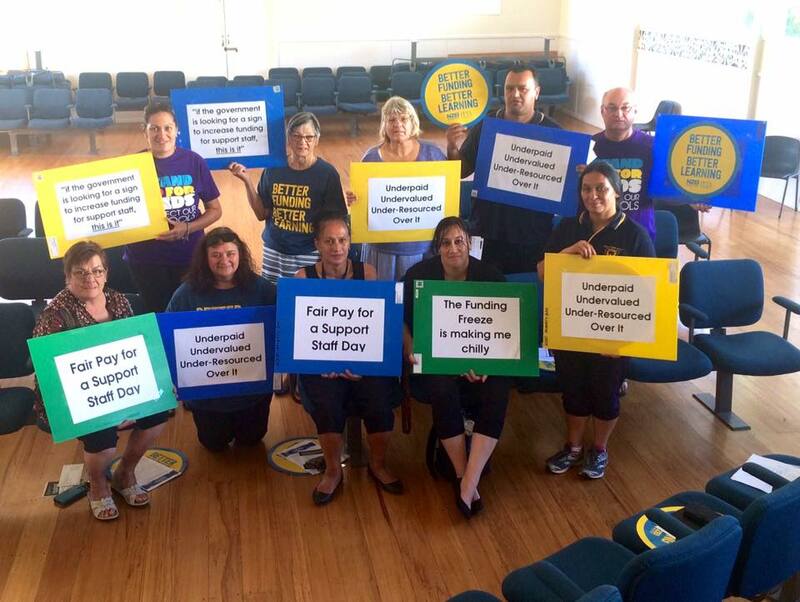 Any cuts to support staff will impact on our already over worked teaching fraternity. 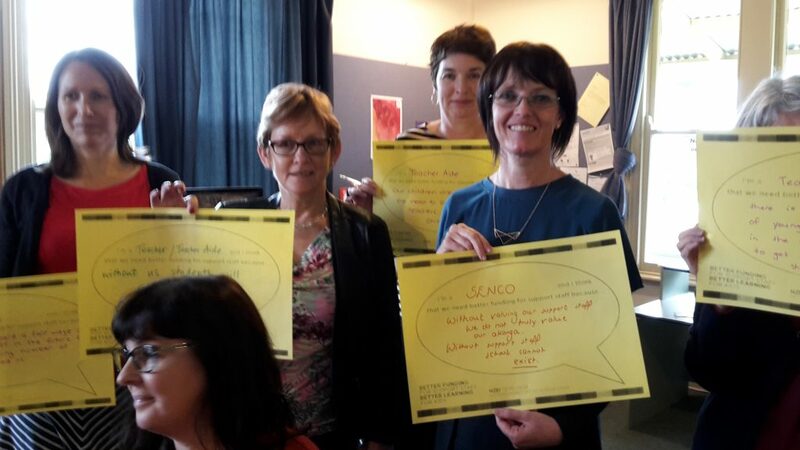 Think of the legacy you are leaving on our pupils if you devalue the role of support staff. 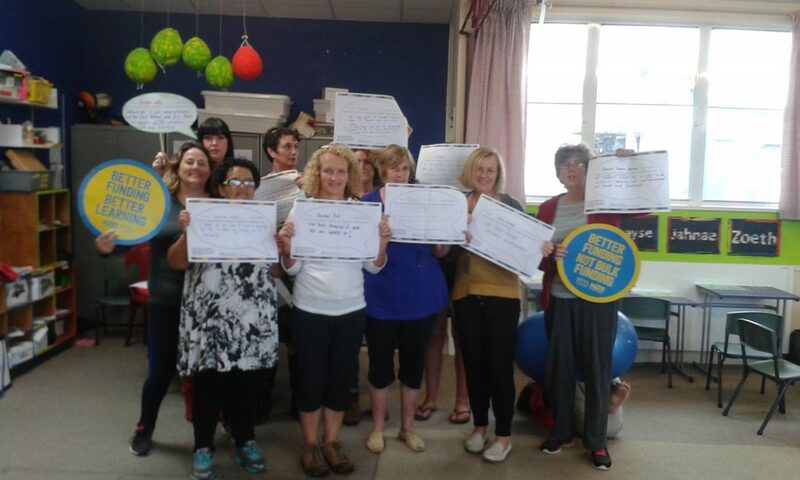 They teach learners for the future of New Zealand. They need to feel valued. 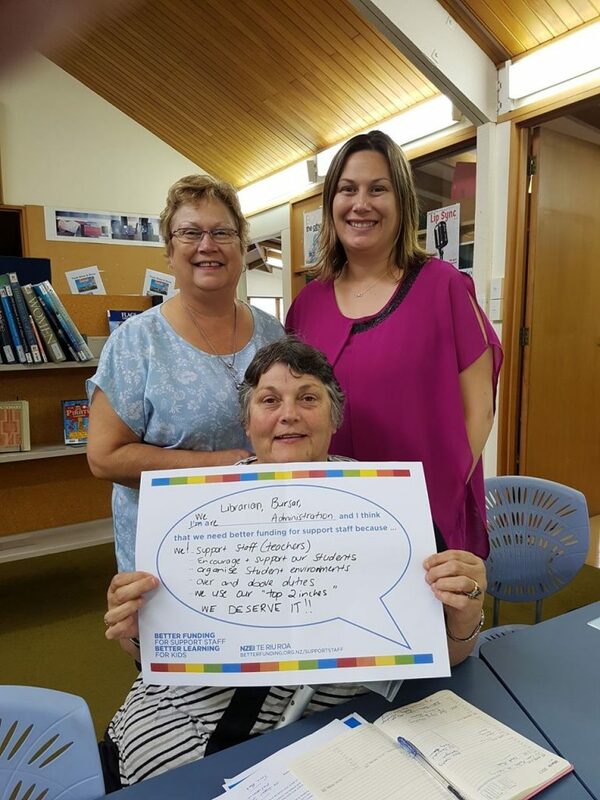 They support learners who need one to one or small group support. Life would become very difficult in our school for; the children, the principal, the teachers and the parents! We all deserve realistic funding from the government. Our kids need us. 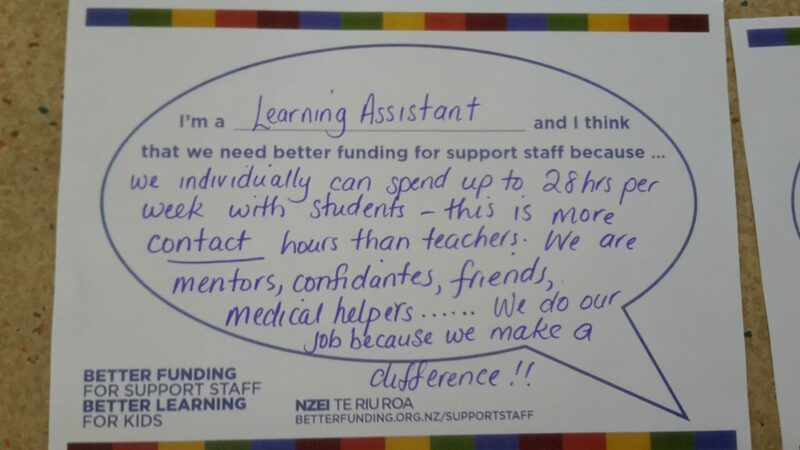 Our teachers need us. 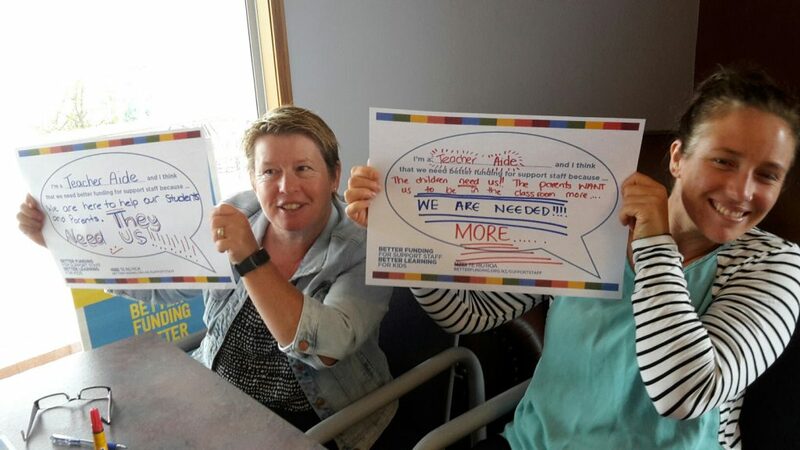 We are worth more!! 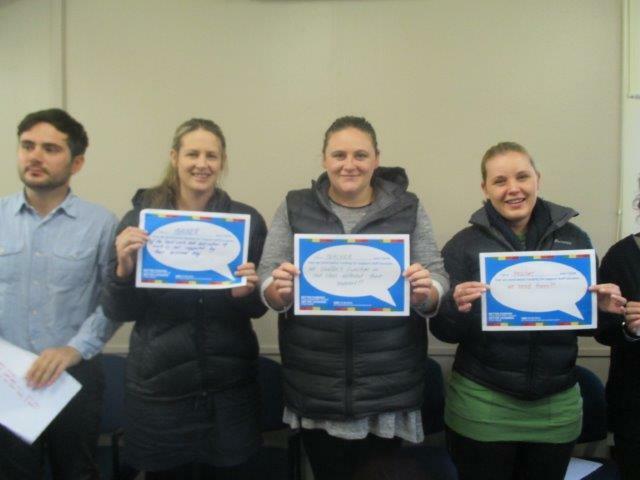 We support staff (teachers), encourage and support our students, organise student environments, over and above our duties. We use our “top 2 inches”. We deserve it!! 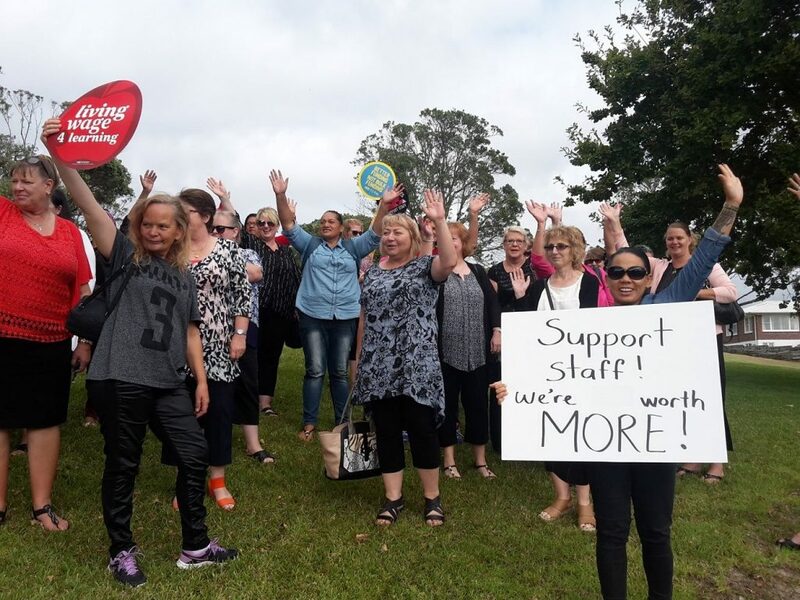 These support staff in West Auckland say they’re worth more.